Did I tell you that Christmas is my absolute favourite time of the year? I just can´t help myself. Even though the wet and cold weather is really bad for my Fibromyalgia, I have noticed that the spirit and magic of Christmas always gives me restored energy and keeps my spirit happy. So as I am watching tons of Christmas movies I am also designing all kinds of new Christmas designs. And since Christmas is a time of giving, I have decided to share all the designs that I am making this month for free. So yes, here is another free design. The kids decided that we needed a Christmas blanket. But ofcourse one in the colours which we all like so much and fits our home. 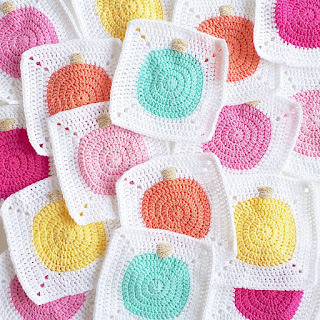 I came up with these Christmas Balls squares to make us a Christmassy but also colourful blanket. The yarn that I´ve used is Missisippi 3 from Katia Yarns. The golden yarn is the Glam from Durable. A while back I´ve gotten this super exciting email from one of my Instagram friends, Lisa Cook. Lisa had made her very own crochet book! 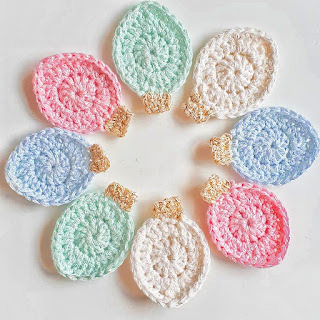 I was super happy for her, since her patterns are amazing and altho we have never met in rl, She seems to be a very genuine woman who has an amazing talent for designing crochet patterns. So when she asked me if I would like to be part of her book celebrations tour, I said yes immediatly. When her publisher TUVA send me the book to review I was over the moon excited. This book contains 21! gorgeous crochet shawls. The pictures and the patterns look so graceful. 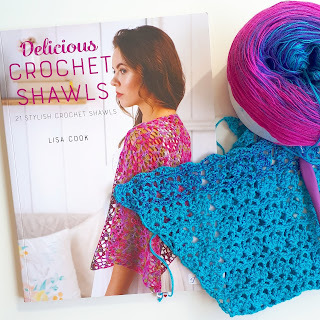 Tuva already published many wonderful crochet books and they were right to publish a book with Lisa. They both did an awesome job. You will find Tuva here on Instagram. I am pretty sure that you will have a hard time deciding which scarf to crochet first. I know I did! At the beginning of this month the first ever YLA Box arrived at my doorstep. As I was over the moon excited I made a little movie on IGTV. You can find it on my Instagram profile which can be found here! Everything was wrapped in paper with the colour gold. I soon came to know that the designer of this months box was Lisanne Multem. Lisanne is known from the Blog Draad en praat. 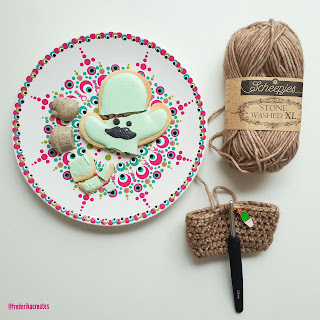 Lisanne has written two crochet books and she recently launched her own magazine! Isn´t that just awesome? If you would like to see more of her and her work, you can find her Instagram account here. As I was only thinking about the video at that moment and beeing in full excitement, I totally forgot to take pictures of everything that was inside. So if you´re curious, just take a peek at my video over at IGTV. Thankfully I´ve got other pictures as well, just not from the unboxing. Hello wonderful people! How have you been? All has been good on this side of the laptop. The weather has been poorly this past week, but since today it's getting way better. 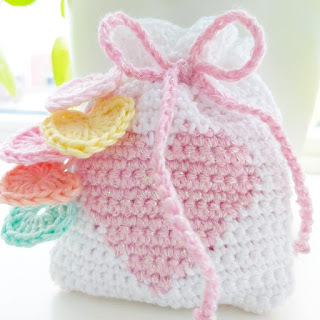 So when I'm done writing this Blog, I'm off to go and enjoy some outside crochet. On Instragram I have been sharing some sneak peeks of one of the new projects which I recently started. Some of you already started speculating about what it would be. And no! It's not going to be another blanket. It's a scarf! 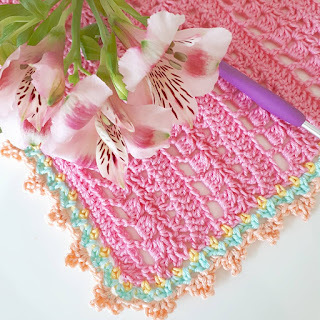 And it will be called The Cotton Candy Scarf! Right now I am working on writing the pattern and hopefully next week my Fabulous Testers will be doing the testing part! Here is the scarf which is already finished. I am now working on another one, but in a different colour. When this pattern is finished I will be finishing up another pattern which I am working on.. Remember the pink backpack? 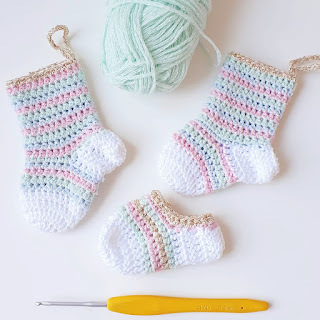 I will be finishing up this project and writing the pattern very soon!